This badge was issued to Kay-Marie Slaughter on 02 Jan 2015. 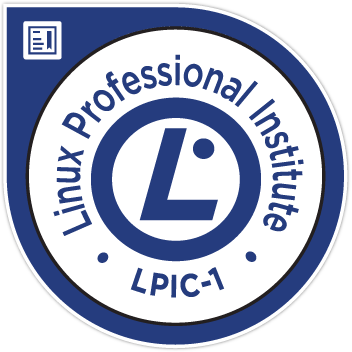 LPIC-1 is the first certification in the Linux Professional Institute's multi-level Linux professional certification program. Earners of the LPIC-1 designation have validated their ability to perform maintenance tasks on the command line, install and configure a computer running the Linux operating system, and are able to configure basic networking.